KATEFP: TOMORROW STYLING PROJECT ON "MAIS MULHER"
Tomorrow at 17h30 our Fashion hero and dearest Pedro Crispim will be at "Mais Mulher" on SIC Mulher with his segment "Styling Project". In the role of styling assistants are some of our fabulous classmates on Atelier Styling Project: Joana, Rita, João and Mafalda. Yesterday, before another brilliant class by Pedro (the Styling & Image Consultant course on Atelier Styling Project is definitely The One, the real crème de la crème that you can find on our country. For who has such defined goals as me a.k.a. my Fashion dream job, in the Styling area to Fashion Buyer...i couldn't have better mentors and i feel so grateful and happy for this opportunity, to be able to learn with someone i admire and adore so much and also someone who inspires me, both professionally and personally, for such a long time. Remember that we always have to follow our dreams and specially the opportunities that come on our way and that we feel that are the right ones for us) we're discovering some of the looks and well, they're absolutely perfect. 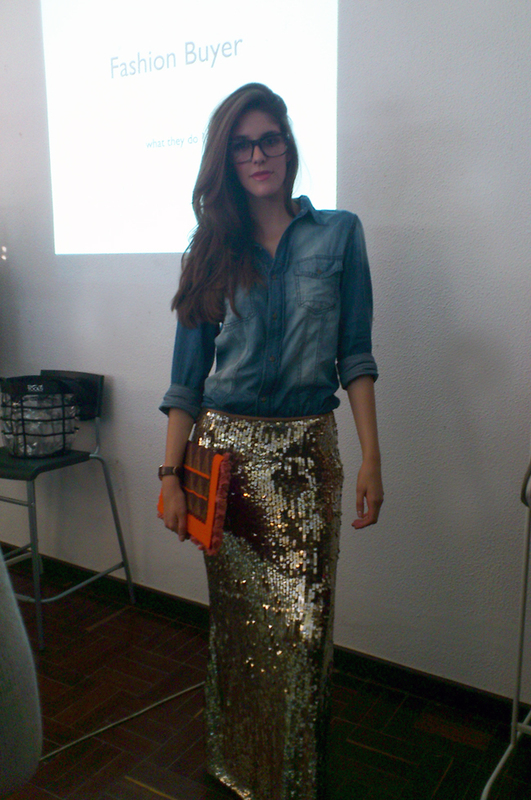 I was in love by both (the gold sequined skirt and coat By Malene Birger and the Tom Ford glasses, genius ! ) 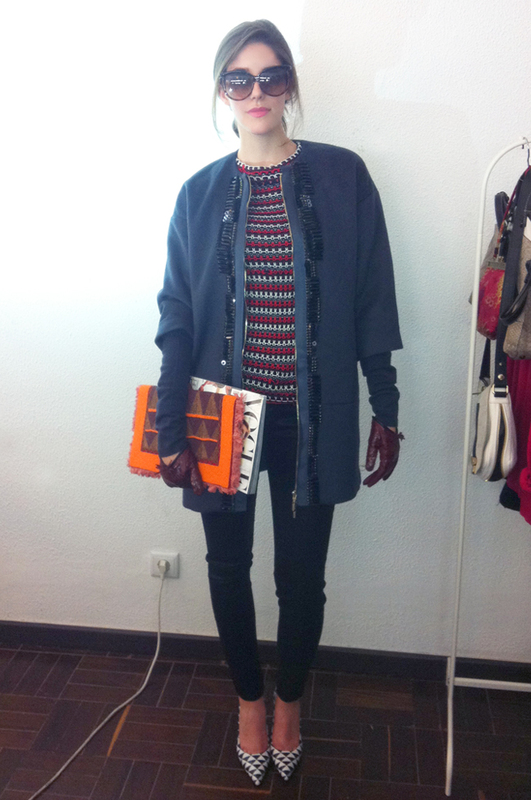 and so ready to go to the upcoming Fashion Weeks *wink* ! For these and other exciting updates follow us on Instagram : @pedro_crispim and @katefpofficial ! Amanhã às 17h30 o nosso Fashion hero e querido Pedro Crispim vai estar no "Mais Mulher" na SIC Mulher com a sua rubrica "Styling Project". No papel de styling assistants estão alguns dos nossos fabulosos colegas de turma do Atelier Styling Project: a Joana, a Rita, o João e a Mafalda. Ontem, antes de mais uma aula brilhante do Pedro (o curso de Styling & Image Consultant no Atelier Styling Project é o The One, o verdadeiro crème de la crème que podem encontrar no nosso país. Para quem tem objectivos tão definidos como eu a.k.a. my Fashion dream job, na área do Styling, de Buyer...não podia ter melhores mentores e sinto-me tão grata e feliz por esta oportunidade, em poder aprender com quem tanto admiro, de quem tanto gosto e que me inspira tanto a nível profissional como pessoal desde há muitos anos. Lembrem-se que temos sempre que agarrar os nossos sonhos e sobretudo as oportunidades que surgem no nosso caminho e que sentimos que são as certas) estivemos a descobrir alguns dos looks em primeira mão e bem, são absolutamente perfeitos. Fiquei apaixonada por ambos (então pela saia dourada e casaco By Malene Birger e os óculos Tom Ford, genius ! ) and so ready to go para as próximas semanas de Moda *wink* ! Para todas estas e outras actualizações sigam-nos no Instagram : @pedro_crispim e @katefpofficial ! Why you're so perfect girl.? Always stunning !